Though we’ll practically die before Los Angeles sees a true change in seasons, sporadic drops in temperature and pumpkin-spiced everything welcome what we call winter. What little less-than-70 degree weather we do experience, however, means havoc for our mane. An itchy scalp and brittle, vulnerable hair are also pesky reminders that summer is over. But a little TLC when the seasons change goes a long way. Ahead, five hair warriors that ensure your mane beats winter. Wind in your hair might mean better selfies but it also means a dry scalp. 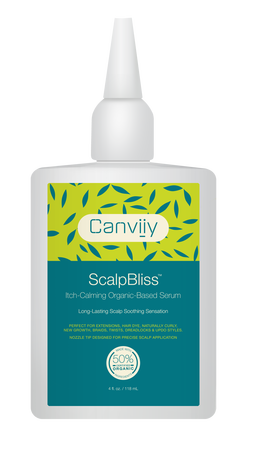 For a quick yet lasting fix, Canviiy’s ScalpBliss Serum infused with aloe vera, jojoba, and Manuka honey soothes down to the root. You can make that feeling last with their on-the-go mini tube. Known for products loaded with silk amino acids, Maple Holistics released a Winter Blend Shampoo and Conditioner that specifically targets harsh-weathered hair. Aside from its 1,300 positive reviews on Amazon, the duo smells winter-fresh and repairs while also protecting color-treated hair. Treatment masks make for excellent daily conditioners, not just occasional hair pick-me-ups. Case in point: Madam C.J. Walker’s Deep Conditioning Masque. Light enough to prevent grease and defy frizz, and strong enough to nourish the scalp—this one does it all. 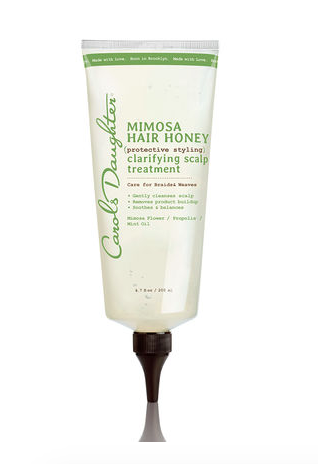 More than a must-have for protective styles, Carols Daughter Mimosa Hair Honey Clarifying Scalp Treatment purifies the scalp with its blend of tea tree oil and mimosa flower. The precision applicator makes it easy to tackle any flaky, itchy feelings. If there’s one post-shower step you should make routine other than T shirt-drying your hair, it’s spritzing Keranique’s Marula Oil Hair Treatment Mist. The weightless spray smooths split-ends and eliminates virtually any sign of frizz, leaving hair as soft as silk. Read 5 Reasons to Switch to a Silk Pillowcase to up your winter hair game.